Great Discount on these Unisex Magnum's. Check out the offer whilst the discount lasts. Limited stock be quick. 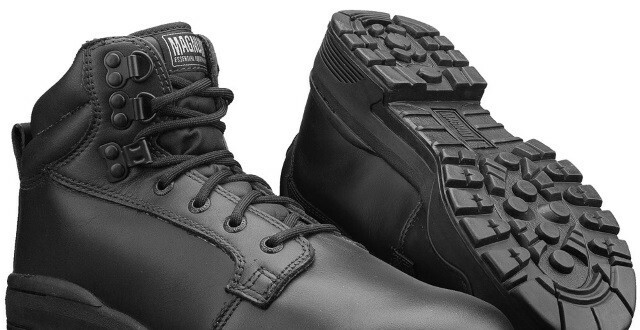 There is currently up to 50% Discount off these UNISEX MAGNUM BOOTS FOR POLICE PATROL. They look professional, have lots of great reviews and the brand is known throughout the police community. The boots itself has Slip resistant sole with ladder grips. These Police Boots have a hot and cold resistant sole, which is also anti-static, acid and alkali resistant. The majority of the boot is leather and the inner material is textile. You can secure the boots with tough laces which gives it an overall professional and sturdy patrol boot. Plenty of sizes available you need to be fast and purchase before they are gone!